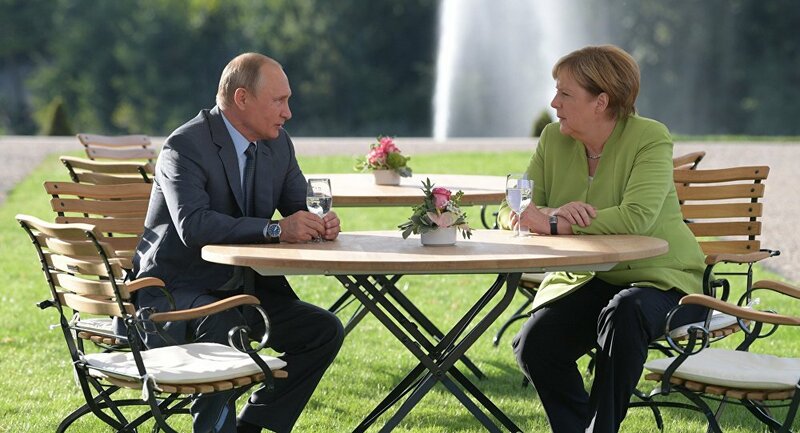 MESERBERG (Germany (Sputnik) – The talks between German Chancellor Angela Merkel and Russian President Vladimir Putin concluded late on Saturday in the German Schloss Meseberg palace. In an unusual format, the leaders made statements to the press prior to the meeting. As the Kremlin clarified, such decision was made because addressing media late on Saturday would have been "inconvenient." According to the Kremlin spokesman Dmitry Peskov, the three-hour negotiations between Russian President Vladimir Putin and German Chancellor Angela Merkel were substantiate and the two leaders have "synchronized watches" on a number of issues. "The negotiations were very long. That was a very substantiate, detailed discussion of the issues that were mentioned in the statements of the president and the chancellor [made before the talks]," Peskov told reporters on Sunday. "There was no goal to reach any agreements. That was a well-timed useful discussion on synchronization of watches on a number of urgent issues," Peskov said. Dmitry Peskov said that during the talks with Angela Merkel Vladimir Putin reaffirmed Moscow's commitment to continue its work with the German business. "Putin regularly communicates with representative of big German companies and wants to continue this practice. [The parties] pointed out several projects of big German companies aimed at expansion of their presence on the Russian market. Putin reaffirmed our interest for such cooperation," Peskov told reporters. Moreover, Dmitry Peskov said that Vladimir Putin and Angela Merkel pointed out during the Saturday talks the need to boost the Petersburg dialogue and the civil society cooperation. "[The parties] discussed the need to boost the civil society dialogue, the Petersburg dialogue. [Putin and Merkel] reaffirmed mutual interest for such a format. Putin also said that Merkel had supported his position on the importance of scientific exchanges including in the high-tech spheres. The parties showed high interest for activation of contacts in this sphere," Peskov told reporters. Kremlin spokesman also stressed that Merkel and Putin have discussed on Saturday the bilateral relations and pointed out the growth of trade between the countries. "[The parties] discussed the bilateral relations and were glad to see the positive dynamics in trade. Last year we registered a significant [trade] growth by 23 percent. 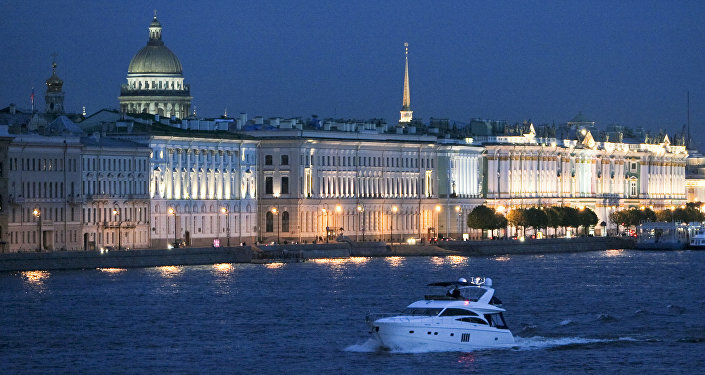 The trend remains in place this year," Peskov said. Nord Stream 2 Pipeline Project "Must Not Be Politicized"
Vladimir Putin and Angela Merkel agreed during the Saturday talks that the Nord Stream 2 gas pipeline project was profitable and competitive as well as expressed their intention to complete it, Peskov said. 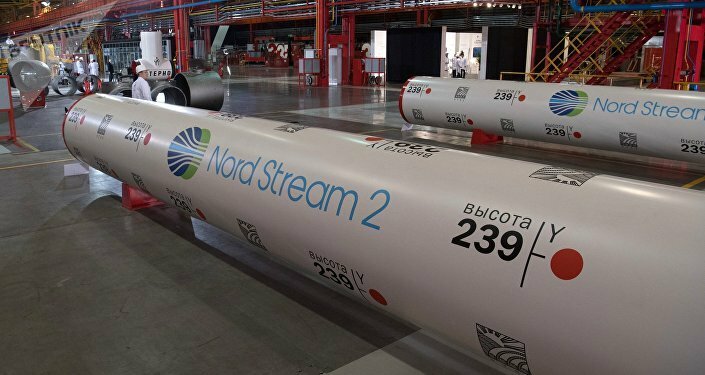 Peskov pointed out that Putin and Merkel discussed possible US sanctions against the Nord Stream 2 project. "There is a general understanding that the projects is commercially profitable and competitive and that is why it is necessary to take measures to protect it from possible attacks… of third parties and to complete the project," Peskov said. The spokesman also noted that Putin and Merkel had also discussed the transit of Russian gas through Ukraine. "We have discussed prospects of gas transit through the Ukrainian territory," Peskov added. Dmitry Peskov said on Sunday that Vladimir Putin and Angela Merkel expressed their regrets over the stalled implementation of the Minsk agreements on the settlement of the conflict in eastern Ukraine. "[The parties] exchanged opinions about the situation in Ukraine. [Putin and Merkel] expressed regrets that the implementation of the Minsk agreements had been totally stalled. Concerns over the unclear prospects of prolongation of the expiring law on the special status of Donbas, which is an important element of the Minsk agreements, has been raised," Peskov told reporters. Meanwhile, Joint Comprehensive Plan of Action (JCPOA), known as the Iranian nuclear deal was also on the agenda of the high-level meeting, Peskov emphasized. "[The parties] discussed the JCPOA. The situation around it is clear," Peskov told reporters without going into further details. 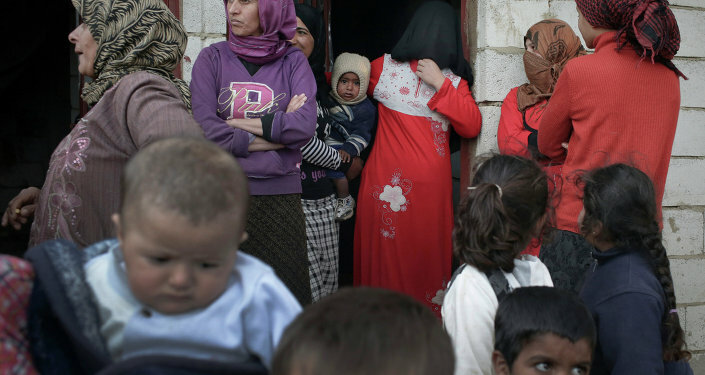 Moreover, the leaders have also touched upon the issue of the Syrian Refugees, Peskov said. "[The parties] have thoroughly discussed the Syrian issue. Putin pointed out the intensifying flow of refugees returning home and called on the European countries to support the process to make it irreversible," Peskov told reporters. He also noted that Putin and Merkel had discussed the inclusive format of the Syrian reconciliation talks. "[Putin and Merkel] discussed political settlement of the Syrian conflict, particularly the inclusive format of the political settlement involving all the parties [to the conflict]," Peskov added. Russian President and German Chancellor also expressed their concern over some countries' unpredictable decisions to introduce tariffs, which may have a negative impact on the global economy, Kremlin spokesman said. 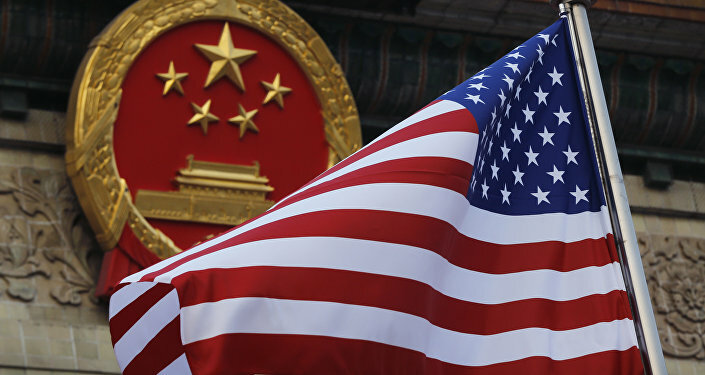 "[The parties] discussed international trade and economic relations and expressed mutual concern over unpredictable decisions, especially in the sphere of tariffs, taken by some states, which may finally have negative consequences for the whole system of trade and economic ties," Peskov told reporters. In addition, Russian President Vladimir Putin and German Chancellor Angela Merkel discussed during the Saturday talks possible creation of the Russia-Germany-France-Turkey format of talks on Syria, Dmitry Peskov said. "Such format has been discussed. [Putin and Merkel] decided that the dialogue in such a format would be launched at the level of expert and aides in order to upgrade the level of talks in the future," Peskov told reporters.